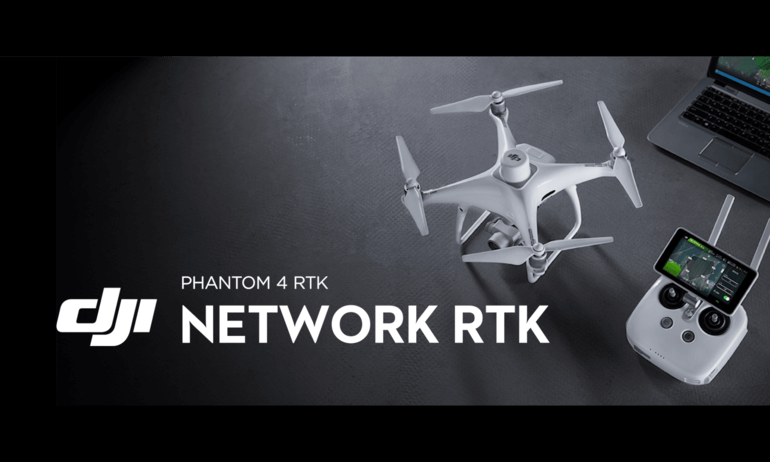 1.How does the Phantom 4 RTK differ from previous Phantom Series products? While previous Phantom series drones were built around professional photographers and hobbyists, the Phantom 4 RTK was designed for industrial users for high-precision mapping and other data acquisition missions. While the Phantom 4 RTK shares a similar camera and form size, it also adds a RTK positioning module, a new TimeSync system, a purpose-built mapping app and more. 2.What propellers does the Phantom 4 RTK use? 3.Can I fly the Phantom 4 RTK in other countries or regions? 1.What is the difference between the Phantom 4 RTK's camera and the camera on the Phantom 4 Advanced/Pro? 2.Can the ND filter of the Phantom 4 Pro be used on the Phantom 4 RTK? 3.Does the Phantom 4 RTK camera digital signal processor (DSP) support distortion correction? No, you can enable the distortion correction in the camera but the images will be less precise compared to distortion elimination in post-processing software. 4.How is the Phantom 4 RTK camera calibrated? Each Phantom 4 RTK camera goes through a calibration process that measures the distortions of the lens, and records the corresponding undistort parameters in XMP DewarpData. When the “distortion correction” is switched off, the original image with distortion will be generated. When the “distortion correction” is switched on, the parameters used to eliminate distortion is not the parameters calibrated, but the design parameters of the camera. When eliminating the distortions, it is not done pixel by pixel. 1.What are the highlight features for the standard remote controller of the Phantom 4 RTK? 2.How can I switch between FCC and CE modes? 3.Can I connect the Phantom 4 RTK to other Phantom series controllers? 1.What is the video transmission distance of the Phantom 4 RTK? The effective video transmission distance depends on your method of operation (such as the antenna position) and actual flight environment. In an open and unobscured environment, the maximum distance is 7 km when FCC compliant, and 5 km when CE compliant. (2.4 GHz). 2.What should I do if the app sends me the following notification: "the remote controller signal is weak, please adjust the antenna"? 3.Can I continue my automated mapping mission if the Phantom 4 RTK loses video transmission signal during its mission? 1.Can I use my Phantom 4 Pro batteries with the Phantom 4 RTK and vice versa? Yes, the Phantom 4 RTK and Pro batteries are cross compatible and have the same capacity, meaning flight time won't be effected. 2.How long does it take to fully charge a Phantom 4 RTK battery? It takes roughly 60 minutes to fully charge a Phantom 4 RTK battery. 3.How should I take care and store my batteries? Batteries should be stored in a dry, ventilated, cool environment, away from fire, high temperature and flammable materials.Do not put the battery in an environment that may cause the battery temperature to rise, such as in the sun, or under the direct sunlight inside your car.Long-term storage should ensure that the amount of electricity is more than 50% but not fully charged. The battery should be charged and discharged to maintain the battery activity every 3 month for long-term storage. 4.What does it mean when the battery icon turns yellow in the app? This means the voltage of the battery cell is low and should be charged soon. Please be cautious when flying under this situation. 5.Can I use Phantom 4 RTK batteries in low temperatures? The battery capacity (and therefore flight time) will sharply decrease in low temperatures (< -10℃/14℉). It is recommended to heat the batteries to 20℃/68℉ before flying to limit this effect. For flight safety, the battery cannot be charged when the temperature is below 5℃/41℉ or above 40℃/104℉. 6.Why do batteries start to heat up after long-term storage? 1.What options do I have to reference the positioning data from the Phantom 4 RTK? 2.What positioning accuracy can the Phantom 4 RTK achieve? 3.What is TimeSync and how does it ensure the positioning accuracy of each image taken on the Phantom 4 RTK? TimeSync continually aligns the flight controller, camera and RTK module, then adjusts the positioning data to the center of the CMOS and records the data in EXIF and XMP format. 4.What are the differences between PPK and RTK mode? How to use them? RTK and PPK are two different kinematics technologies that reference data in different ways. Although PPK generally has slightly higher positioning accuracy than RTK, both achieve centimeter-level precision. 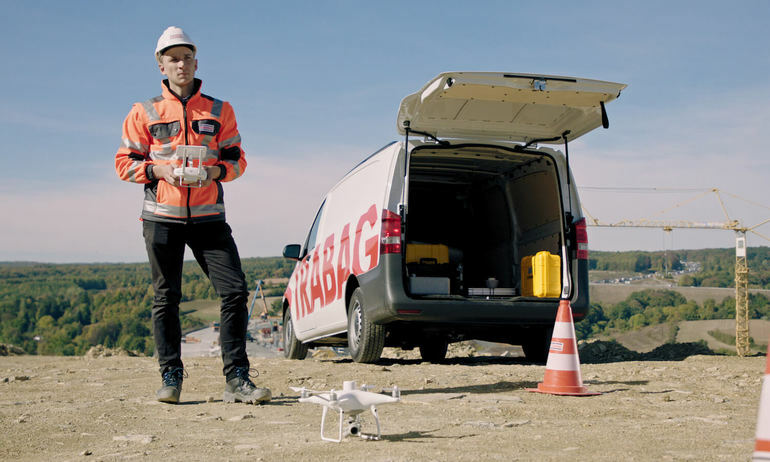 RTK is recommended for users flying in environments that allow for real-time connection via OcuSync or 4G and prefer convenience and efficiency. For users who have no demand on timeliness and/or need to operate in conditions without connectivity, PPK is a better option. 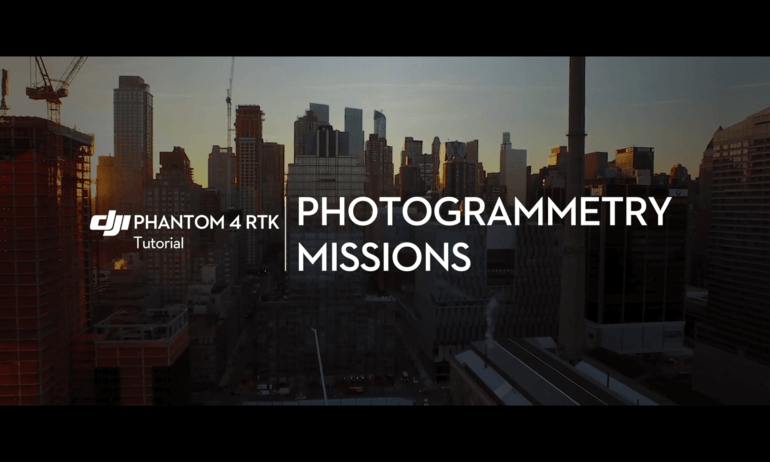 5.Which PPK file types does the Phantom 4 RTK support? What are these files for and how do I use them? EVENTLOG.bin is a binary format that stores exposure, time stamp and log file. PPKRAW.bin is an RTCM3.2 MSM5 format that stores satellite observation data and ephemeris data. Rinex.obs is a Rinex file format that is created after transcoding. Timestamps.MRK is a ASCII format that stores exposure and time stamp. 6.How do I find the XMP information of my Phantom 4 RTK photos? 7.When I take a photo with the Phantom 4 RTK, where is the location metadata logging the position from? Due to the new TimeSync system, each photo stores the position of the CMOS center in its metadata. 8.How can I get the compensation value between the antenna phase center and CMOS center? For each photo, the compensation value between the RTK module's antenna phase center and the CMOS center in NED coordinate system is recorded in the timestamp. MRK file under a folder named “survey”. 1.How do I update the Phantom 4 RTK firmware? The Phantom 4 RTK firmware upgrade process is similar to that of the Phantom 4 Pro. Using the DJI Assistant 2 software, you can update the remote controller and aircraft firmware separately . 2.In what situations are the left/right TOF and infrared sensors active? Currently the left/right TOF and infrared sensors are not active, so please fly with caution. 3.What apps have mapping or inspection function? 4.Does the Phantom 4 RTK's return to home logic differ from that of the Phantom 4 Pro? No.The RTH logics in both aircrafts are almost the same. 5.What mapping platform is being used to provide map data to the Phantom 4 RTK app? Mapbox is used to provide map data to the GS RTK app. 6.Are there any limitations to the Phantom 4 RTK's waypoints? There is no limitation when using the GS RTK App. 7.Can I set waypoints by entering longitude and latitude values when using Waypoint mode? 8.Does the GS RTK app have 3D flight path planning functions? 9.When importing KML area files with the GS RTK app, what is the maximum number of boundary points that I can set? Currently the GS RTK app supports up to 99 boundary points through KML files. 1.What formats of differential data does the Phantom 4 RTK support? Currently the Phantom 4 RTK supports RTCM 3.0 data, RTCM 3.1 data, MSM4,MSM5, MSM6 and MSM7 data under RTCM3.2. 2.Are the coordinates measured by the Phantom 4 RTK relative coordinates or absolute coordinates? The coordinates measured by the Phantom 4 RTK are absolute coordinates under WGS84. 3.How do I calculate an appropriate flight altitude based on a GSD value? You can refer to the equation H=36*GSD to estimate an appropriate flight altitude. Please note that GSD ground sampling distance in this equation is measured by centimeters, while H (Height or flight altitude) is measured by meters. For example, GSD=2.74 cm, when altitude=100 m.
4.Do images captured by the Phantom 4 RTK store altitude any information? If so, how is this data stored? Elevation and relative altitude (relative to your takeoff point) are stored in photos captured by the Phantom 4 RTK. Absolute altitude can be used for mapping, and relative altitude can be found in the XMP file. 5.How can I capture oblique photography when using the Phantom 4 RTK? Oblique imagery can be captured while flying in the Photogrammetry mode on the GS RTK app. In the Photogrammetry mode, you can adjust gimbal angle from -90 °to -45° under Camera Settings for your flight plan.You can only set one gimbal angle value at a time, so for sites where you want to capture multiple angles you can plan the same mission and just adjust the camera angle. 6.Can I create a 3D model or point cloud with third-party software using the images captured by the Phantom 4 RTK? If yes, what is the accuracy of the model created? Yes, you can use third-party software to process Phantom 4 RTK image data and create models, however the accuracy will vary based on the photogrammetric algorithm used. Please refer to the third-party software provider for more information on expected accuracy. 7.When there are no Ground Control Points (GCPs), what is the accuracy of the model that the Phantom 4 RTK data can make? Can the accuracy meet the requirements of 1:500 scale aerial triangulation? The orthoimages created with the images captured by the Phanton 4 RTK and select reconstruction software have shown an absolute accuracy of roughly 5 cm, while the accuracy required in 1:500 scale aerial triangulation is less than 30 cm. This means the Phantom 4 RTK's accuracy meets the requirements of 1:500 scale aerial maps. 8.Is the Phantom 4 RTK compatible with third-party base stations?